Sweet potatoes are good source of dietary fiber, niacin, vitamin B, potassium, and other vitamins. 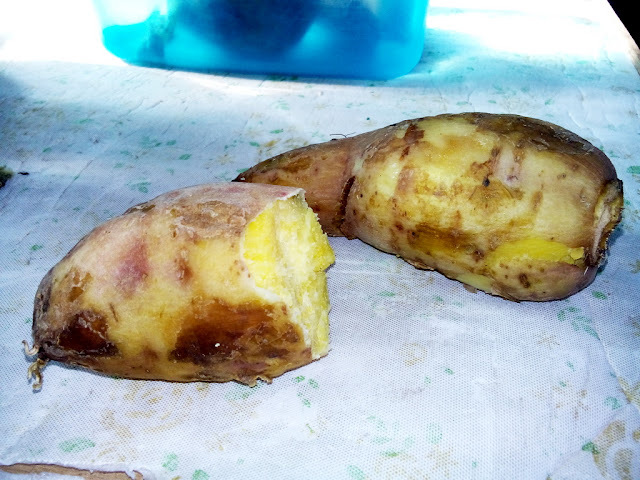 It is a root crop, commonly found in tropical regions. How to cook boiled sweet potato? easy, just fill the pot with water covering all potatoes, then boil it for 10 to 15 minutes or until the sweet potatoes are tender. You may add a bit of salt on water while boiling to add taste or dip it on sugar while eating. 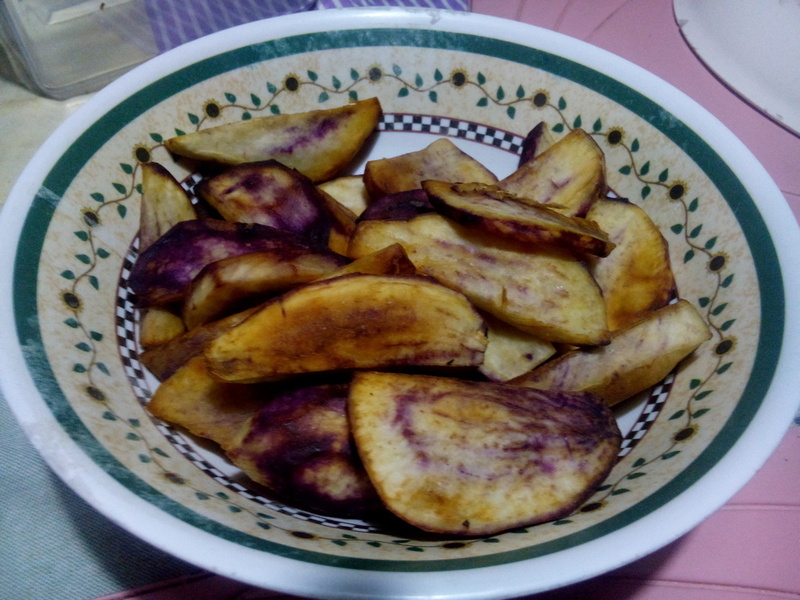 How to cook Fried sweet potatoes? easy, just slice them like in the photo above and fry them until they turn brownish. You may also fry them like you're cooking a french fries in your favorite fast food chain.